French far-right leader Marine Le Pen has lost immunity from prosecution after she tweeted pictures of ISIS violence. Her position as a member of the European Parliament has so far meant she could not be prosecuted. Marine Le Pen is under investigation in France for posting three images of ISIS killings in 2015, including the beheading of American journalist James Foley. She is currently running to be French president. Opinion polls suggest Marine Le Pen is on course to win the first round in April, but centrist Emmanuel Macron is gaining ground and looks likely to beat her in a second round in May. A Le Figaro/LCI poll on February 26 put Emmanuel Macron – who was unveiling his manifesto at the same time as it was revealed Marine Le Pen had lost her immunity – on 58% in the run-off, against 42% for Le Pen. The European Parliament vote – carried by a “big majority”, according to acting parliament speaker Dimitrios Papadimoulis – confirmed a preliminary decision taken on February 28 by the legal affairs committee of the European Union legislature. Marine Le Pen had dismissed efforts to lift her immunity as “part of the system that wants to stop the French people’s candidate that I am”. The allegations date back to December 2015, when she tweeted the pictures in response to a journalist who drew an analogy between her anti-immigration Front National (FN) party and ISIS extremists. James Foley’s parents accused Marine Le Pen of using the image of their son for her own political ends. 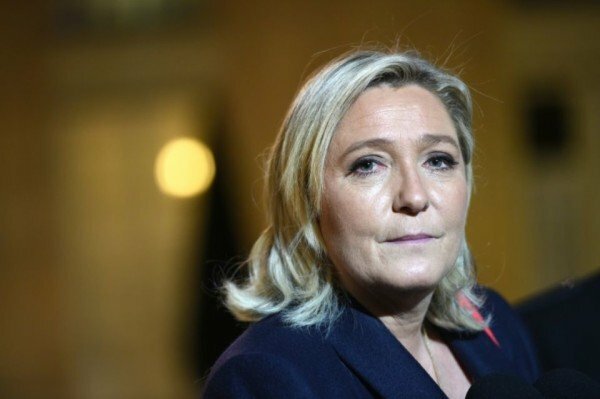 However, the vote only lifts Marine Le Pen’s immunity in this particular case and will not cover a separate investigation into whether the FN misused European Parliament funds. Marine Le Pen has refused to attend a police interview over the latter allegations. She denies wrongdoing and claims that they are a plot to derail her campaign.